Does this mean that the 1 cent promotion is finished or is it one or the other for new Mavens? 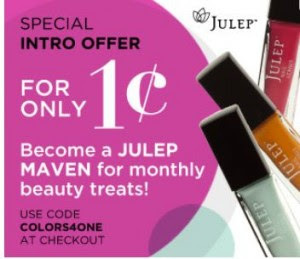 I can see how polish enthusiasts might actually like to pay 9.99$ and skip the pedi cream and get 3 more polishes than they would with the 1 cent promotion. But the 1 cent promotion is still a much better deal obviously and I hope it's not finished for potential new Mavens! Anyway, I'd love to have an answer about whether or not the 1 cent promotion is still happening if anyone knows so I can change my referral link picture on the right if it's not. The link is still good for those wanting to take advantage of the 9.99$ promotion though! thanks for telling me about this new promo! 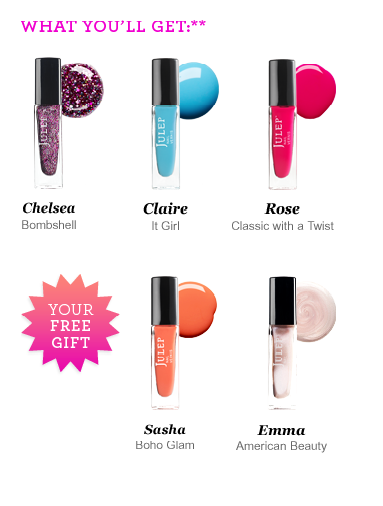 the five colors included are all very nice... tempting but like you said, not quite as tempting as the penny promo!